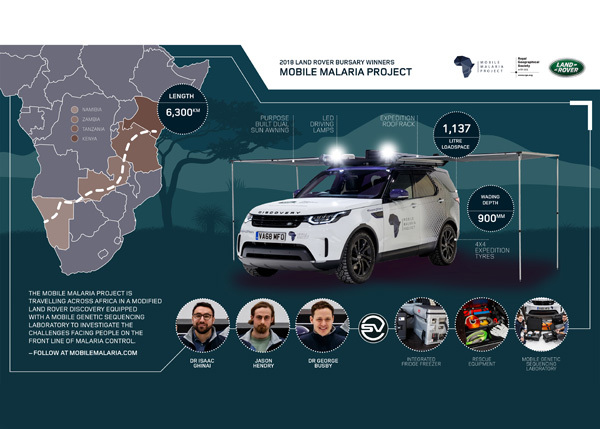 Land Rover is supporting the Mobile Malaria Project on its eight-week expedition of Africa to better understand how DNA sequencing technology can be used in different locations. Tackling the journey in a specially-modified Land Rover Discovery, the team of three Oxford University researchers led by Dr George Busby will travel more than 6,300km across Namibia, Zambia, Tanzania and Kenya to investigate the challenges facing those on the front line of malaria control. 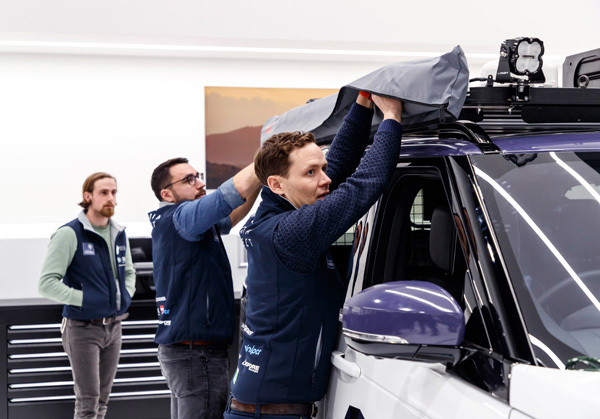 The winner of the 2018 Land Rover Busary, in partnership with the Royal Geographical Society, aims to help improve research in the region by trialling portable DNA sequencing technology to better understand how it can be used in different environments. This equipment will analyse the population of malaria parasites and mosquitoes, and how resistant they are to insecticides and drugs. “By working with colleagues in Namibia, Zambia, Tanzania and Kenya, our journey will help us to understand the challenges facing malaria researchers in Africa in 2019. 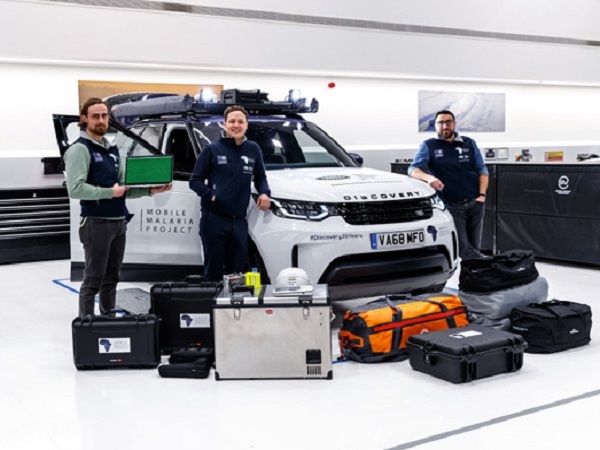 The Discovery modified by Land Rover Special Vehicle Operations has been designed to transport all the research and laboratory equipment the team needs over the expedition. 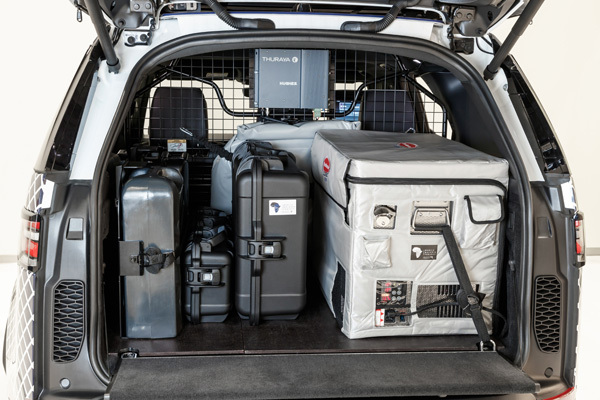 The mobile genetic sequencing equipment makes use of the Discovery’s boot space, and contains a fridge-freezer unit to safely store scientific supplies, a bespoke load space configuration system, specially designed equipment cases and an on-board expedition battery. 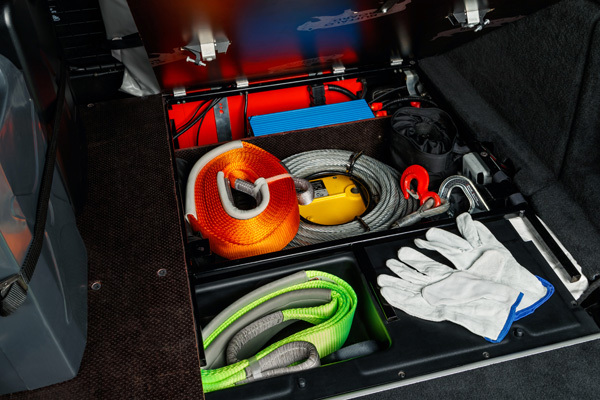 The exterior has been given a purpose-built dual sun awning, rescue equipment, a winch, sand and mud tracks, an expedition roof rack and additional exterior LED lighting. Dr Steve Iley, Jaguar Land Rover’s Chief Medical Officer, said: “Malaria is a global issue which impacts millions of people worldwide. 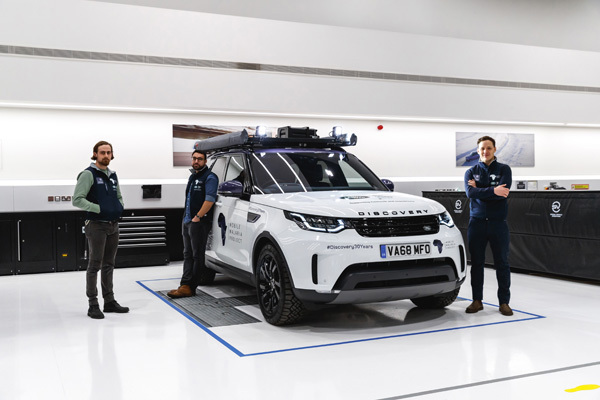 At Jaguar Land Rover we are passionate about using our technology to empower talent and enable experts in their field to make a real difference in our world. The Mobile Malaria Project has also teamed up with what3words, one of Land Rover’s global humanitarian partners, to accurately plan their route, navigate on the ground and document their findings in real-time. The team will be departing on their eight-week research expedition on 22 March. Follow them on their adventure across sub-Saharan Africa here.